Wolftown really are the leading force in the UK for Hip-hop music. Without a doubt they do more work in one month than most UK labels do in a year! Now head-honcho’s LATE & TRICKSTA are back with a mix hosted by non-other than Brooklyn’s number one ryhmer Papoose. Twenty-seven tracks deep this CD showcases a whole bunch of Papoose tracks and collobo’s that a lot of people would not have heard before, as well some killer tracks by NYC acts that are on the same tip. Watch out for St. Laz, Geolani, Hot Rod, Termanology, Red Café, Saigon and DV Alias Khryst who all murk it as do UK heavy hitters Jai Boo, LATE, 10Shott, Conman and Reload. This CD is a massive release and something you need to get up on. 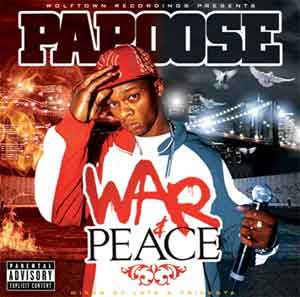 Big up Papoose, straight bars everytime!